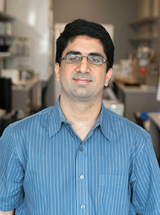 The Weljie Lab is located in the Department of Systems Pharmacology and Translational Therapeutics within the Perelman School of Medicine at the University of Pennsylvania. Our lab is at the forefront of metabolomics technologies to examine biological problems in a translational medicine context, particularly related to sleep and circadian rhythms. There is an intrinsic link between metabolism and function of the innate circadian clock system in numerous organisms and disease states, but the exact mechanism by which the clock controls mammalian metabolism is poorly understood. Our work seeks to fill this knowledge gap along with a particular emphasis on understanding the relationship of the clock with cancer and environmental health. Tambellini Nicolas P, Zaremberg Vanina, Krishnaiah Saikumari, Turner Raymond J, Weljie Aalim M: Primary Metabolism and Medium-Chain Fatty Acid Alterations Precede Long-Chain Fatty Acid Changes Impacting Neutral Lipid Metabolism in Response to an Anticancer Lysophosphatidylcholine Analogue in Yeast. Journal of proteome research 16(10): 3741-3752, Oct 2017. Sengupta Arjun, Rhoades Seth D, Kim Eun Ji, Nayak Soumyashant, Grant Gregory R, Meerlo Peter, Weljie Aalim M: Sleep restriction induced energy, methylation and lipogenesis metabolic switches in rat liver. The international journal of biochemistry & cell biology Aug 2017. Sivanand Sharanya, Rhoades Seth, Jiang Qinqin, Lee Joyce V, Benci Joseph, Zhang Jingwen, Yuan Salina, Viney Isabella, Zhao Steven, Carrer Alessandro, Bennett Michael J, Minn Andy J, Weljie Aalim M, Greenberg Roger A, Wellen Kathryn E: Nuclear Acetyl-CoA Production by ACLY Promotes Homologous Recombination. Molecular cell 67(2): 252-265.e6, Jul 2017. Banoei Mohammad M, Vogel Hans J, Weljie Aalim M, Kumar Anand, Yende Sachin, Angus Derek C, Winston Brent W: Plasma metabolomics for the diagnosis and prognosis of H1N1 influenza pneumonia. Critical care (London, England) 21(1): 97, Apr 2017. Lu Danny, Weljie Aalim, de Leon Alexander R, McConnell Yarrow, Bathe Oliver F, Kopciuk Karen: Performance of variable selection methods using stability-based selection. BMC research notes 10(1): 143, Apr 2017. Krishnaiah Saikumari Y, Wu Gang, Altman Brian J, Growe Jacqueline, Rhoades Seth D, Coldren Faith, Venkataraman Anand, Olarerin-George Anthony O, Francey Lauren J, Mukherjee Sarmistha, Girish Saiveda, Selby Christopher P, Cal Sibel, Er Ubeydullah, Sianati Bahareh, Sengupta Arjun, Anafi Ron C, Kavakli I Halil, Sancar Aziz, Baur Joseph A, Dang Chi V, Hogenesch John B, Weljie Aalim M: Clock Regulation of Metabolites Reveals Coupling between Transcription and Metabolism. Cell metabolism 25(4): 961-974.e4, Apr 2017. Rhoades Seth D, Sengupta Arjun, Weljie Aalim M: Time is ripe: maturation of metabolomics in chronobiology. Current opinion in biotechnology 43: 70-76, Feb 2017. Vysochan Anna, Sengupta Arjun, Weljie Aalim M, Alwine James C, Yu Yongjun: ACSS2-mediated acetyl-CoA synthesis from acetate is necessary for human cytomegalovirus infection. Proceedings of the National Academy of Sciences of the United States of America 114(8): E1528-E1535, Feb 2017. McConnell Yarrow J, Farshidfar Farshad, Weljie Aalim M, Kopciuk Karen A, Dixon Elijah, Ball Chad G, Sutherland Francis R, Vogel Hans J, Bathe Oliver F: Distinguishing Benign from Malignant Pancreatic and Periampullary Lesions Using Combined Use of ¹H-NMR Spectroscopy and Gas Chromatography-Mass Spectrometry. Metabolites 7(1), Jan 2017. Kim Dongyeop, Sengupta Arjun, Niepa Tagbo H R, Lee Byung-Hoo, Weljie Aalim, Freitas-Blanco Veronica S, Murata Ramiro M, Stebe Kathleen J, Lee Daeyeon, Koo Hyun: Candida albicans stimulates Streptococcus mutans microcolony development via cross-kingdom biofilm-derived metabolites. Scientific reports 7: 41332, Jan 2017.